The Connecticut Commission on Women, Children and Seniors held a forum on Monday on the impact legal marijuana would have on the state. The forum in Hartford brought together former government officials, medical professionals and tax experts from around the country. Dr. David Nathan, founder and board president of Doctors for Cannabis Regulation, said the prohibition on marijuana is not working. Nathan says the basic intent of the prohibition was to prevent children from getting marijuana. But he says even his kids, who are in the 8th and 11th grades, know how to get marijuana in the schools they attend in New Jersey. The panel also looked at how marijuana could be a sector of growth for small businesses. Kebra Smith-Bolden, a co-owner of Cannabis Consultants of Connecticut and CannaHealth, advocates for women and minorities to start their own businesses in the cannabis industry. Smith-Bolden is also a nurse. 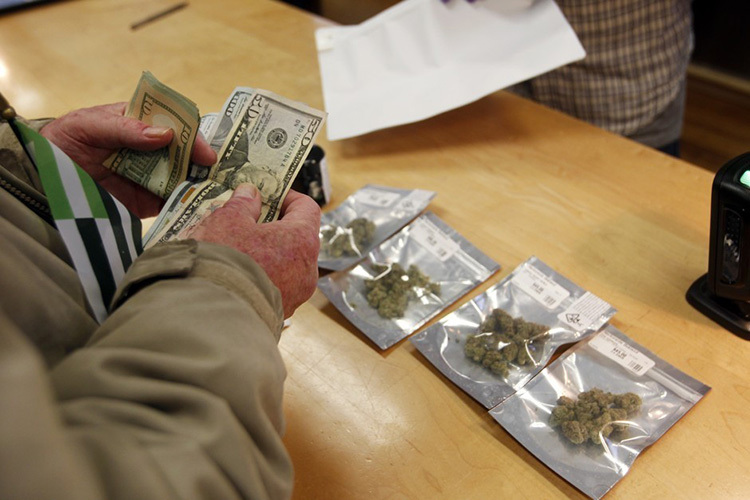 Several of the panelists warned that Connecticut should avoid having unrealistic expectations about the amount of revenue-taxing legal marijuana would bring to the state. Andrew Freedman, the former director of marijuana coordination for Colorado, said Colorado collects about $250 million in tax revenue but the state budget is $33 billion. Freedman recommends setting aside the tax revenue for a particular program that normally doesn’t receive funding. Connecticut lawmakers are currently considering a bill to legalize recreational marijuana. It’s unclear if the bill will make it to a vote before the session ends next Wednesday.